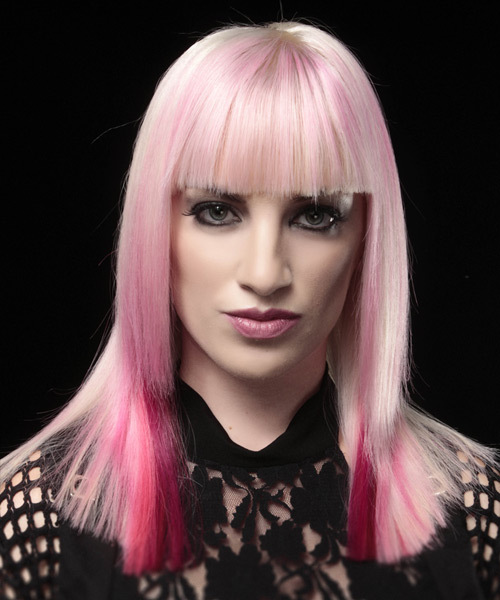 This sleek and glossy 'do is easy to achieve with a blow-wave and product to ensure a smooth finish. The bangs are blunt cut and worn down to frame the top of the face making this a fantastic style to compliment a long face. 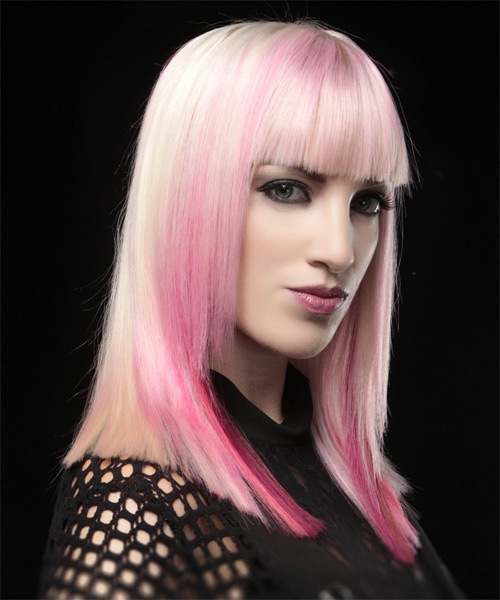 Different shades of pink are added to the top and sides for color contrast and completes the over-all look brilliantly.